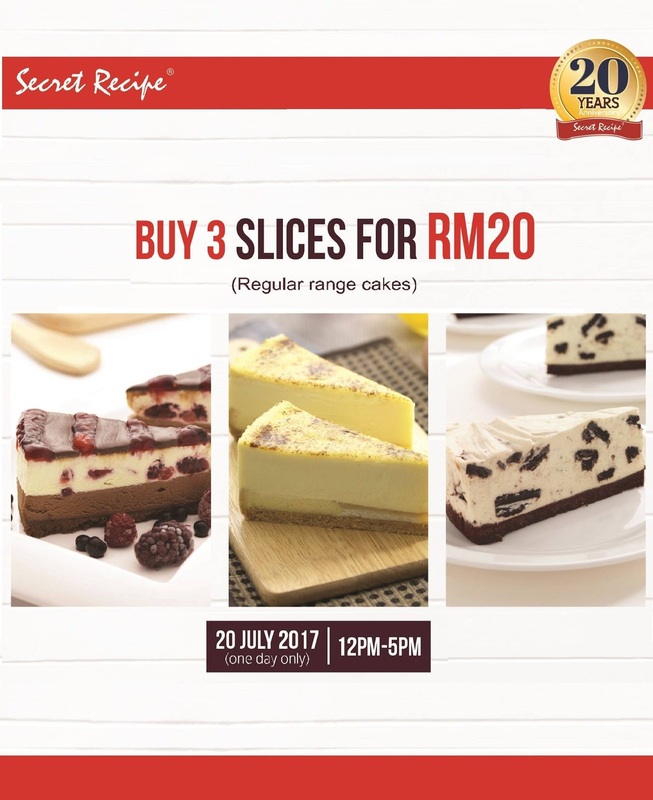 On 20th July 2017 , 12pm - 5pm (one day only) Buy 3 Slices Cake For RM 20 ! Dine-in and take away !! Valid for dine-in & take away only, from 12pm-5pm, 20 July 2017. Not valid with others on-going promotion,bank discount & privilages, set meal or offer. Price shown are inclusive of 6%GST where applicable.